This is the last in a series on the Fukushima nuclear catastrophe based on the accounts of people who struggled to contain the crisis in its early stages. Job titles and ages are as of March 2011. Nine months after the Fukushima No. 1 core meltdowns, the man credited with preventing the radioactive decimation of eastern Honshu retired. 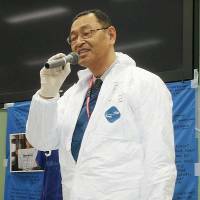 Masao Yoshida stepped down as plant chief because he had been diagnosed with esophageal cancer after a health check on Nov. 14 that year. But even before then, he had been thinking about quitting Tokyo Electric Power Co. and thereby taking responsibility for ignoring what he perceived as a state order to suspend the injection of seawater into the troubled No. 1 reactor. It was reported on May 20 that Prime Minister Naoto Kan ordered a halt to seawater injection in the early stages of the disaster. Six days later, Tepco said Yoshida’s earlier report, that he had complied, was false and that he actually continued injecting it as he thought it was the best way to prevent the situation from worsening. “I am thinking about quitting and starting a company,” Yoshida told Shiro Hikita, his friend and closest colleague. The pair had worked together throughout the crisis. He even knew what the group would be called: Japan Associate of Nuclear Escapers, or JANE — pronounced as “jaa-ne” (goodbye). “That’s just like you,” Hikita chuckled, wondering how serious Yoshida was about quitting. Yoshida remained with the company but was verbally reprimanded for giving a false report about the seawater. He quit as chief on Dec. 1 and sought medical treatment, finding time on Dec. 9 to visit the plant’s emergency headquarters. “I’ve been found to have cancer of the esophagus and I’m undergoing chemotherapy,” Yoshida calmly told his ex-colleagues. Yoshida concluded by saying he would be happy to return in April the following year. “It is going to get colder. Please take care of yourselves and your families and don’t catch a cold,” he said. In February 2012, Yoshida had surgery at Keio University Hospital in Tokyo. While there, he spoke with former subordinates and reflected on the teamwork he had witnessed. Some of those tasks included difficult work in the darkened reactor control rooms, rushing out to find a bunch of car batteries, and entering the reactor buildings to try to inject water into units that were in the process of meltdown. Yoshida knew how hard his staff had worked and was therefore angry with the prime minister’s office, Tepco headquarters in Tokyo and the media. 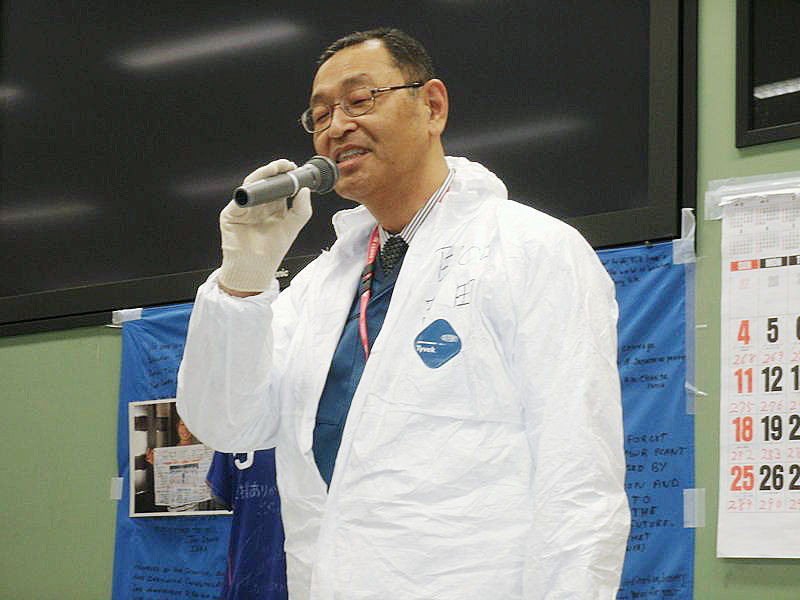 Yoshida’s utmost priority in the crisis was to ensure safety. “The first to die if an accident occurs would be the plant workers. But if they die, the accident cannot be contained. We cannot save the lives of local residents if we can’t save the lives of the workers,” he said. Yoshida was released in June 2012 and returned to his home in Tokyo. On July 26 he had lunch with a colleague. Yoshida proposed a reunion dinner, saying he would be happy just watching them enjoy themselves over drinks. He also said he ought to return to work as soon as possible. Yoshida then excused himself and went to the bathroom, but he never returned. He had collapsed with a brain hemorrhage. Three operations later, it was found that his cancer had returned. On July 9, 2013, Yoshida passed away at the age of 58. On Aug. 23 in Tokyo that year around 1,000 people took part in a memorial gathering to recall Yoshida’s life. Hikita, himself now retired, was flooded with memories. As the disaster unfolded he and Yoshida had been in the emergency response office. “Idiots!” Yoshida exclaimed time and time again after receiving yet another unreasonable demand from the prime minister’s office or Tepco headquarters. Every time Yoshida yelled the word, Hikita would add another line to a list on a piece of paper. One day, Yoshida asked him how many times he had cursed. “Yoshi-yan, it was more than 10 times today.” Yoshi-yan was Yoshida’s nickname. “He was probably speaking for us,” Hikita recalled. Hikita joined Tepco straight after graduating from the company’s vocational training school and served his entire career at the Fukushima No. 1 plant. Yoshida, whom Hikita first met about 30 years ago, was a graduate of Tokyo Institute of Technology and always held a senior rank despite them being the same age. “He was a man who evaluated others by their character, not by whether they could do their job well, regardless of job title,” Hikita said. The two had a good chemistry. Yoshida sent Hikita an email from the hospital. It depicted how he had felt the morning of the day when about 650 Tepco employees evacuated from the Fukushima No. 1 plant at the height of the crisis, leaving Yoshida and 70 others to continue the fight. Yoshida did not want his staff to die. But if worst came to worst, he thought of assuming responsibility for what happened with his own death and that of his longtime friend. “Who is willing to die with me?” Yoshida’s words came back to Hikita. “Yoshi-yan, you idiot. Why did you go by yourself? You idiot, idiot,” Hikita said in grief. At the gathering, a photograph of Yoshida was surrounded by 5,000 flowers. He seemed to be smiling.